Interested in exploring our island state on a one-day getaway? Here are our top three picks for day trip getaways for you and your sweetie. Take an exciting helicopter tour of some of Hawaii’s amazing volcanoes in the Hilo area. This tour features a fascinating look at Hawaii’s complicated geology, as well as an incredible tour of Mauna Loa and Kilauea. Dubbed “America’s Best Beach,” Hulopoe Bay offers sparkling sand, pristine waters, some amazing protected tidepools, and a high chance for spotting dolphins and humpback whales. What’s not to love? 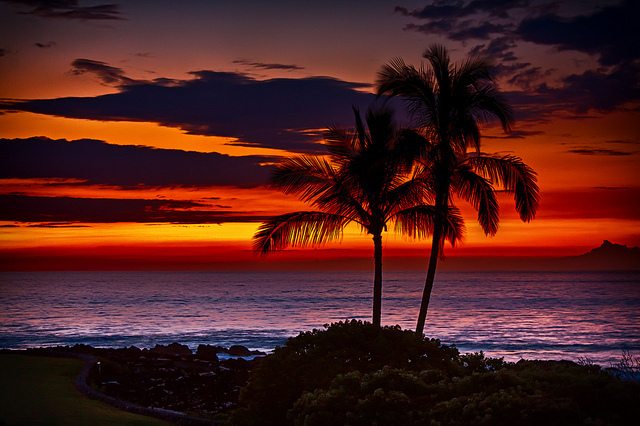 If you are interested in golf, or in learning the sport, Hawaii offers some of the best golf courses in the world. Check out this list, and even if your game isn’t on point, the scenery certainly will be.